By default the content is either the “excerpt” or the “full content” of your post. You can hook into this data via the “mailster_auto_post” filter. The $data is an array with information to your select post. The $post is a WP_Post object containing the actual post data. 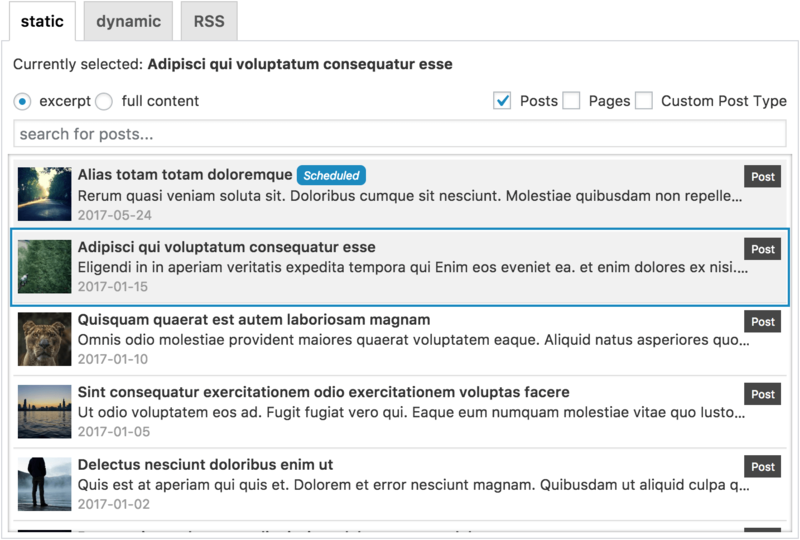 To change the content of dynamic auto posts check out this article.